Britain’s appeal to green energy investors has fallen to its lowest level in 12 years because of the government’s “lack of clarity” over its renewable energy policy. That’s according to a new index, in which the UK has slipped down to eighth place. 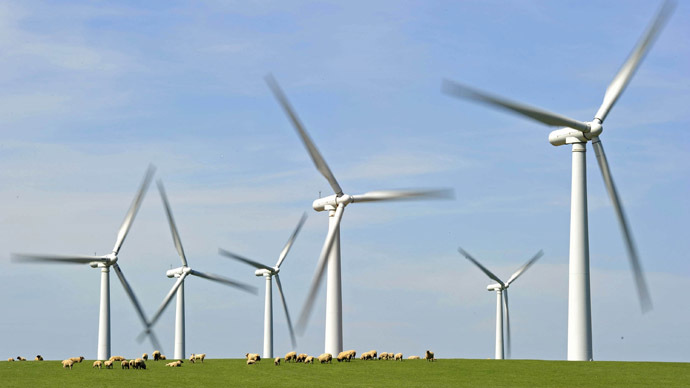 Confusion over how much renewable power suppliers will be paid for their energy, along with uncertainty over how the outcome of May’s general election will affect green policies, has pushed Britain down the league table, called the Renewable Energy Country Attractiveness Index (RECAI). France has taken Britain’s seventh spot. The results follow a pledge by the UK’s ruling Conservative Party to ban onshore wind farms if they win the election, saying it will divert the funds to solar power and offshore wind projects instead. The party hasn’t released any details on how it will fund green energy after 2020, prompting concerns over the future of renewables in the UK. Published by global consultancy firm Ernst & Young, the league table saw China maintain its top position, followed by the US in second, Germany in third and Japan in fourth. France swapped rankings with the UK, largely due to the introduction of an ambitious new bill which seeks to reduce the use of fossil fuels in the country by 30 percent over the next 15 years. Britain’s drop to eighth comes a week after the first contracts for difference (CfD) auction results were announced by the government. The CfD system is designed to boost renewable energy by subsidizing green energy producers, allowing them to sell at a profitable level while ensuring the energy price stays low for the consumer. However, Ernst & Young said the “lack of clarity” around whether the CfD system will be enough to stimulate investment contributed to Britain’s slip in the rankings. Warren also pointed to the upcoming election as cause for concern among green power investors. “The upcoming election means that we can expect an effective moratorium on energy policy. The role of renewable energy in the UK’s long-term energy strategy remains unknown at a time when it has become affordable, quick to deploy and can deliver real jobs,” he said. Ernst & Young highlighted India, which rose to fifth place on the table, as a country which has successfully balanced ambitious government targets with policy reforms designed to encourage private investment. The UK’s fall to eighth place jeopardizes the government’s chances of hitting its target to produce 15 percent of the country’s power from renewable sources by 2020. Meanwhile, Germany looks set to overtake the UK this year as the largest producer of offshore wind power, despite the UK approving plans to build the world’s biggest offshore wind farm in the North Sea last month.